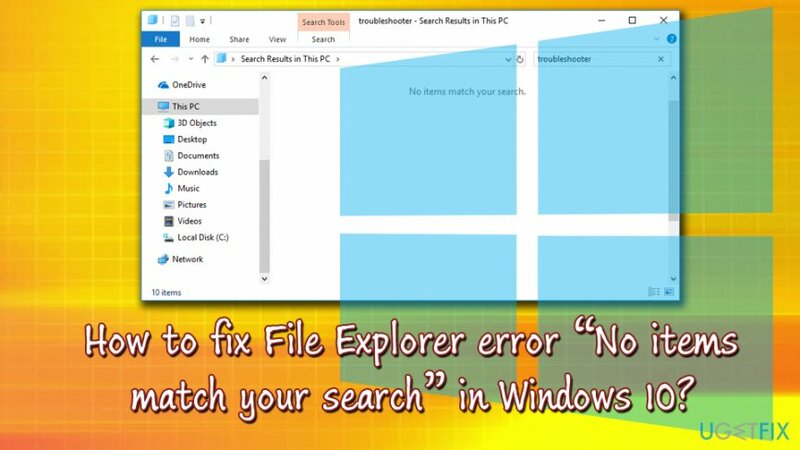 How to fix File Explorer error “No items match your search” in Windows 10? 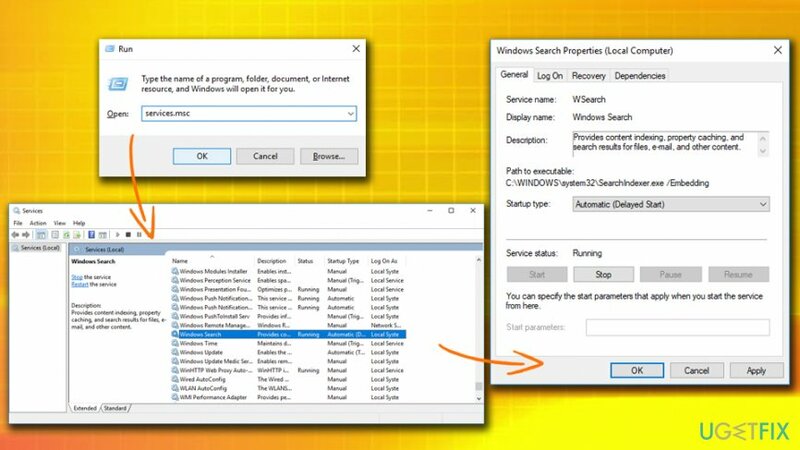 Home »	Fix » How to fix File Explorer error “No items match your search” in Windows 10? 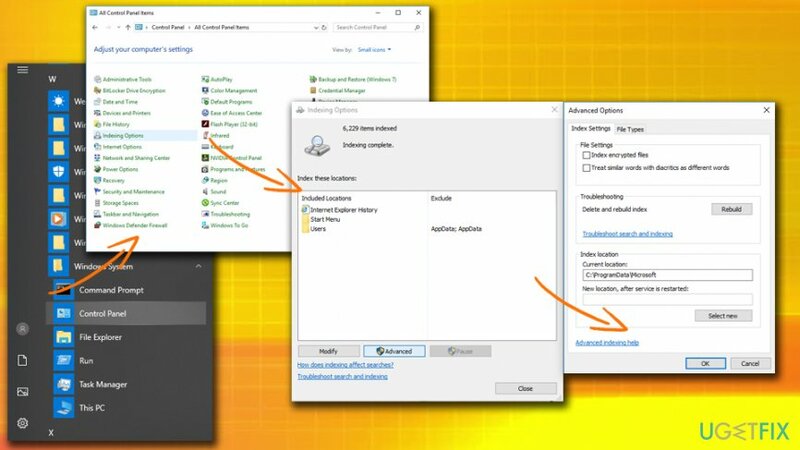 Issue: How to fix File Explorer error “No items match your search” in Windows 10? Hello. I hope you guys can help me. Every time I type something into the Windows search box, it returns no results. I know that because I tried to search for an item that is definitely on my computer. Please help me! 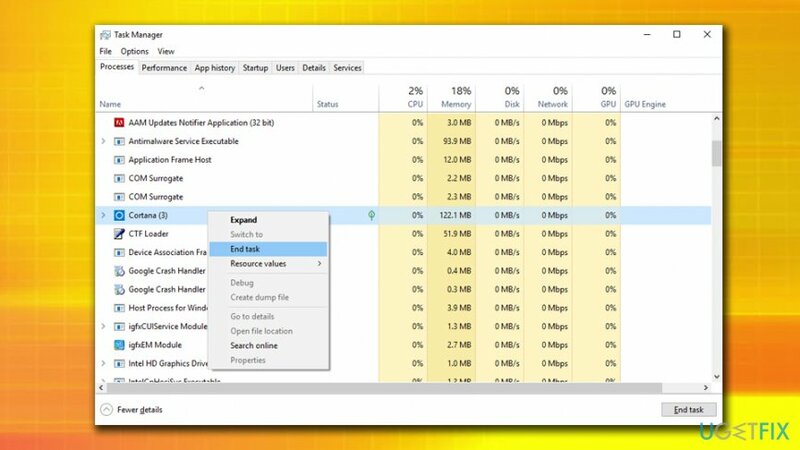 The File Explorer is a useful tool that should find all files and folders based on keywords or exact matches of users' queries. Nevertheless, users might experience some troubles with it. The most common problem with File Explorer is that it cannot find anything based on the keyword entered, even if the item is located somewhere on the system. 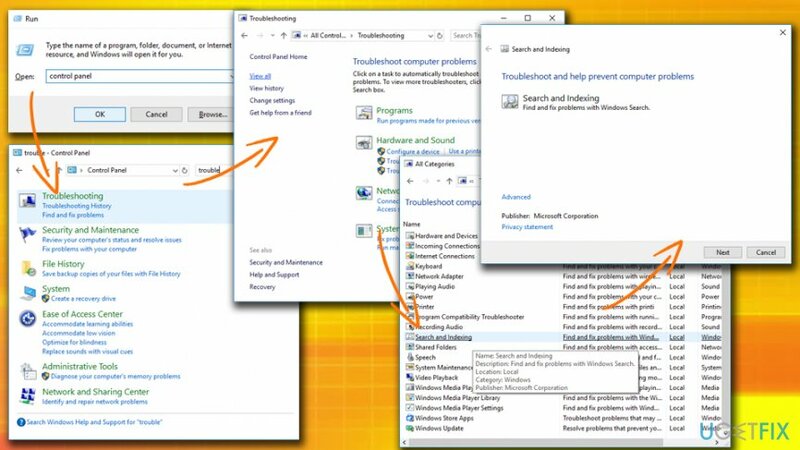 Do not worry, as we are here to help you – we compiled solutions that should help you fix “No items match your search” in Windows 10. 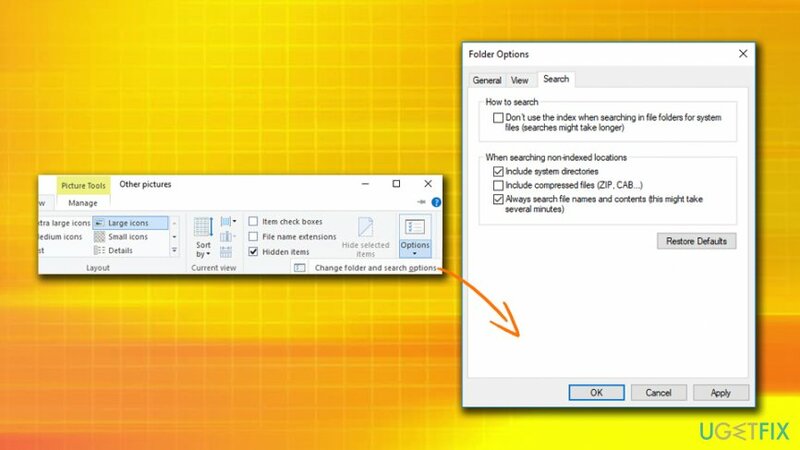 The File Explorer error “No items match your search” issue appears due to the search tool not working correctly, i.e., Search feature of File Explorer is broken. The main culprit of malfunction is due to indexing issues on Windows 10. Additionally, the index database could be corrupted. There are several ways of fixing it, and it highly depends on your system configuration and other settings. Unfortunately, some malware may show no signs or symptoms whatsoever. Thus it is always a good idea to obtain a powerful security tool and perform consistent computer scans. We suggest using Reimage. In addition to the ability to scan and remove malware, the program is also capable of automatically fixing various computer issues, including “No items match your search” error. If Reimage did not fix your problem with File Explorer, proceed with the solutions below. ^ File Explorer. Technopedia. Site that helps to understand technology. ^ Tim Fisher. Blue Screen of Death (BSOD). Lifewife. Tech Untangled. ^ What is Cortana?. Microsoft. Windows Support.